Putting together room-scale VR setup for your Oculus Rift may prove to be tricky. This is mostly due to the number and complexity of cables which you’ll have to extend, in order to provide room-scale tracking and freedom of movement. The critical issues are ensuring your HDMI cable can handle the video signal output, and that the USB extension cables are capable of transferring the camera/sensor tracking. 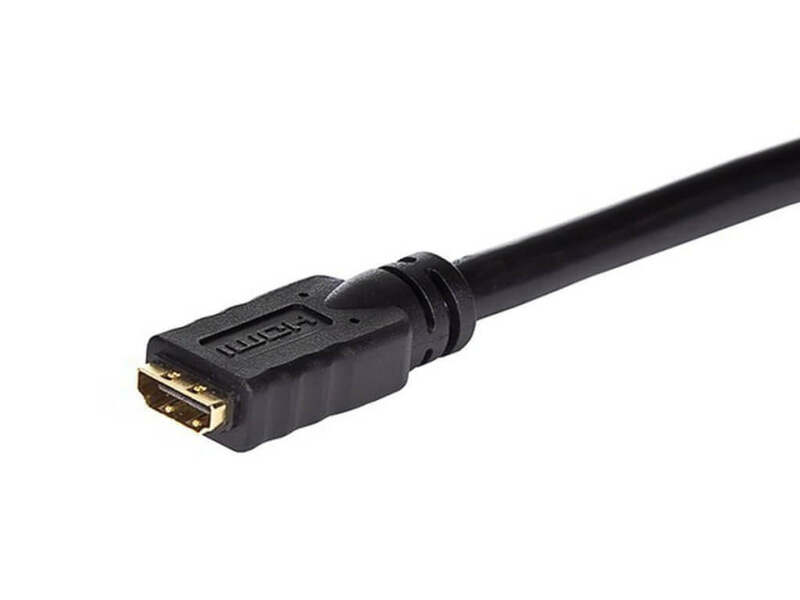 Higher bandwidths usually don’t go well with Ethernet cables, so we recommend using only HDMI and USB cables. This proves to be fairly complicated, since the Rift is very specific about both PC ports and the extension cables you may use. On /r/oculus you can find a good guide on the extension cables which have been tested, and proved to work. You should however proceed with caution, and put in some additional research, since some motherboards and GPUs simply aren’t compatible with all the listed extension cables. 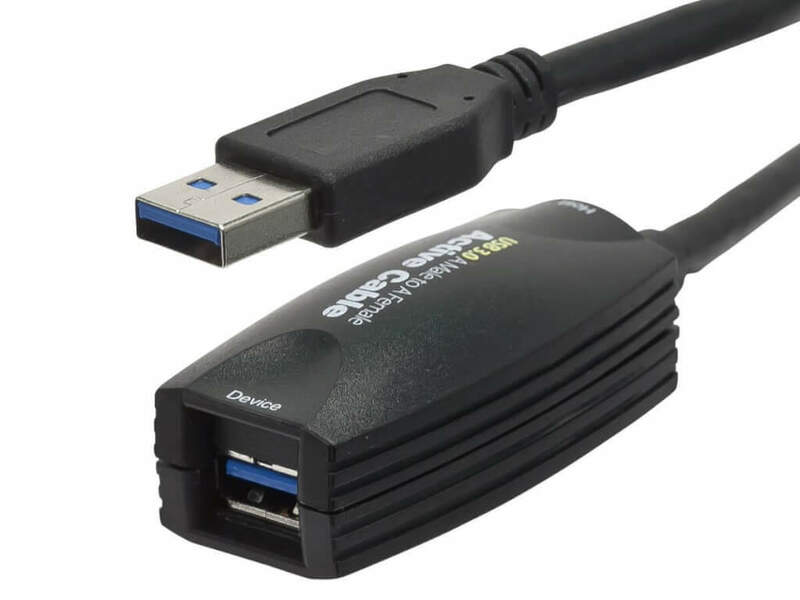 You should also have in mind that the maximum length at which USB 3.0 cables work is about 15ft (3 meters), and if you want to buy a longer cable, consider getting an USB 2.0 extension. USB 2.0 uses less bandwidth data, hence it often works more reliably on lengthy cable extensions, 15ft and longer. It is possible for you to expand your room-scale Oculus Rift setup to a larger area than Oculus recommends. In order to extend your Oculus Rift headset, you gotta purchase two types of cables. These are HDMI 1.3 and an USB 3.0 extension cables. Noticing that many users are willing to experiment with unusual setups, Oculus tested the following 6 foot cables which will enable you to enjoy VR in a larger area. For most standard setups, you can get away with 6ft USB cables, but for wall mounting you are going to need some 15ft extensions. For maintaining the recommended setup which includes two USB 3.0s and one USB 2.0, you are going to have to buy sensor cable extensions for each of them. You should never buy USB 3.0 extension cables longer than 15ft – 17ft (5m), as we explained earlier. Besides this fact, backed up by experiences so far, you should always choose active extension cables over passive ones when purchasing. This is due to the fact they tend to maintain the signal better than the passive ones, so we recommend using active extension cables if possible. We hope this article helps you set up a killer Oculus Rift VR room! Make sure to visit VRBorg daily for more awesome virtual reality news, guides, tips and reviews! If you like our content make sure to share it on the social media! Next articleIs Samsung Gear VR Worth It?